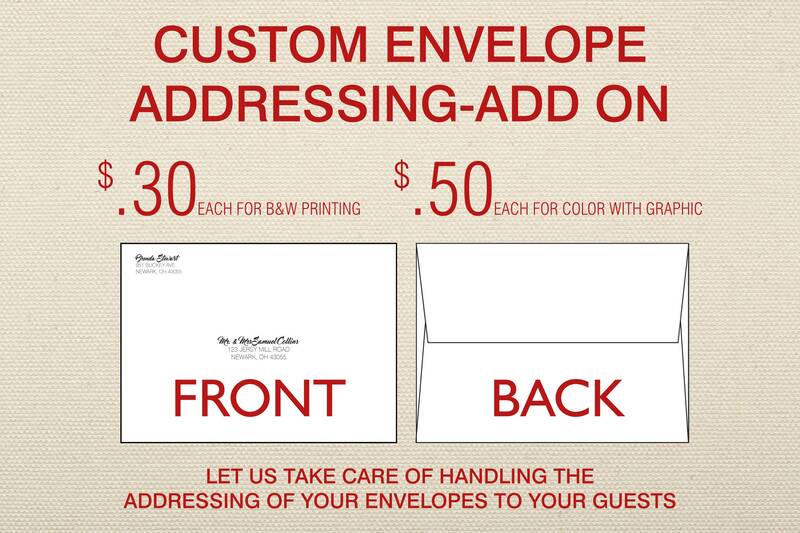 Let us take care of handling the addressing of your envelopes to your guests. Looks professional and saves you time and it's just one less thing to stress about for your big day. Let us handle this detail while you handle the important things. 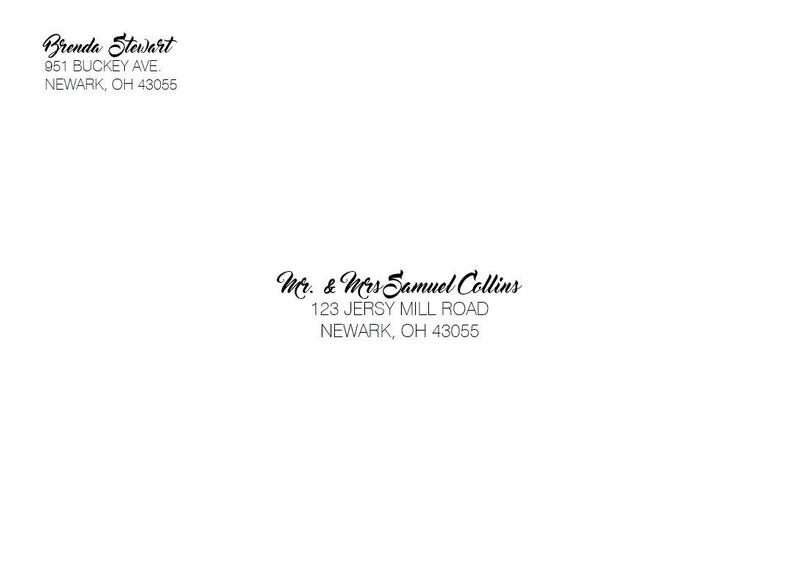 We can match the font to your invitations to make sure everything looks flawless. Small price to pay for peace of mind. Upon the purchase of this listing you will need to download the excel file that we will need filled out before any printing can be done. It saved me a lot of time my only reason for giving 4 stars is my proof was right with my street address for return of address (it’s one word) “Autumnwood” while I received the envelopes where I’m assuming autocorrect changed it before they printedto two words “Autumn Wood” so I would of hoped they had referenced the proof before printing. I also had one address at the end of the last name Dugan spelt “DuganÈ” It wasn’t a big deal tho as I just whited out the È. I took a pic to attach but it doesn’t have a place for attachment for this so I’ll attach to my other review with the invites! Last minute adding return address was not a problem at all for this company. My whole order including invitations were all perfect. Great communication and workmanship!! Such a time saver, and a fantastic price! The font matches my invitations perfectly. I left a review for our invitations which included the envelopes but I will leave another here. It was so nice to have them already addressed. Looks very clean. They only issue I had was some were smashed but that could have just been the mail. I would definitely recommend them to other brides they were so wonderful to work with! One less thing I had to worry about. Once everything was sent I received my invitations/envelopes 2 days after they shipped it! But allow yourself time to input the names/addresses and allow time in case the file doesn’t show up on their end. 2 days after I thought they were being worked on it happened to me! Luckily it worked out and I got them in time but allow yourself plenty of time.